For the wonder called ‘WOMEN’! A salute to your existence that creates, nurtures and sustains. 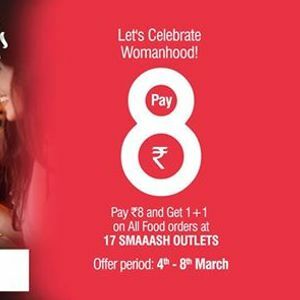 This International Women’s Day, let's celebrate womanhood the Smaaashin’ way! 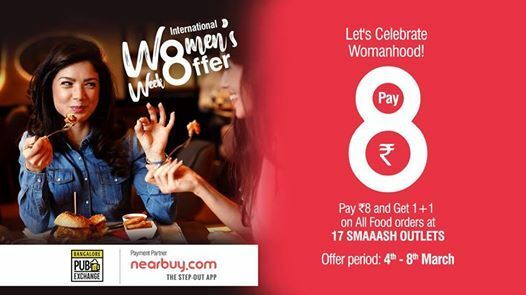 WOMEN’S WEEK SPECIAL OFFER: Pay Rs. 8 and get 1+1 on entire food menu at Bangalore Pub Exchange.